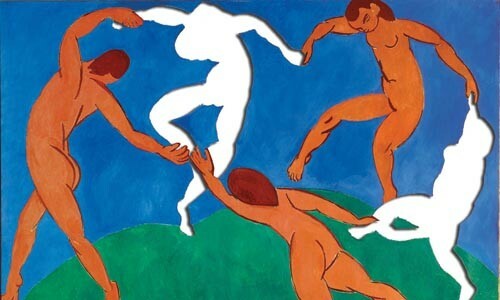 With apologies to Matisse, does the economy portend an arts scene of layoffs and missing images? How does Pittsburgh's arts community feel about the economy? Pretty much like you do. "Everybody's nervous," says Susan Blackman, of the Greater Pittsburgh Arts Council. "Everybody's worried about it," agrees Michael Olijnyk, of the Mattress Factory. There were plenty of grounds for concern in the first half of February alone. The Pittsburgh Cultural Trust, the 800-pound cultural gorilla that draws 1.5 million patrons Downtown annually, announced its first staff cuts ever. The prestigious International Poetry Forum called this 43rd season of readings its last. 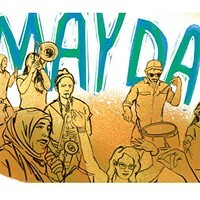 And the long-running River City Brass Band announced it might axe shows and cut staff. Behind it all is diminished funding from foundations and other sources, and fear of worse to come. Behind all that is a global financial crisis, rising joblessness and chronic uncertainty. With home foreclosures mounting and lines growing at food banks, the fate of the arts might not seem a priority. But many local arts groups live on the thin edge of solvency in the best of times. And these days, even successful arts managers can sound shocked. "I've never seen anything like this," says Charlie Humphrey, the longtime Pittsburgh Filmmakers director who has guided revivals of the Pittsburgh Center for the Arts and the Pittsburgh Glass Center. "There's no question that we're all going to be affected by it." Most arts groups are nonprofits, and their mix of earned and donated revenue is threatened from all sides. Many rely on donations for half their budgets or more, and "[m]ost of [the funders] are strapped," says Poetry Forum founder and director Sam Hazo. "They're not accepting new requests." Foundations, whose endowments depend heavily on stock-market returns, are especially vulnerable. Locally, big funders like the Heinz Endowments and the Pittsburgh Foundation have watched their assets plummet. Janet Sarbaugh, who heads the Heinz Endowments' arts and culture program, says Heinz assets have dropped by 23 percent, prompting a 15 percent cut in her budget. "Every program here has received a cut," says Sarbaugh. That means, for instance, no funding for capital projects. "We'll simply be trying to protect the organizations that we supported over time and protect programming ... in arts education," Sarbaugh says. Box-office revenue is weakening too. Big touring shows like Jersey Boys and Fiddler on the Roof -- both part of the Cultural Trust's PNC Broadway Across America series -- still sell well, but anecdotal evidence suggests individual ticket sales overall are soft. "I'm definitely hearing it" from colleagues that sales are down, says Humphrey. Government funding is also imperiled. The Pennsylvania Council on the Arts budget dropped 4.25 percent this year, to about $14.6 million, with more cuts proposed for 2009-10. Local arts groups also rely on the Allegheny Regional Asset District, a fund supported by a countywide 1 percent sales tax. But RAD is spending about 14 percent less on arts and culture programs. Also worrisome: The agency is withholding 10 percent of all its operating grants for the first six months of 2009 -- in case tax revenue declines further. Even small cuts can hurt small groups. This season, the Pittsburgh New Music Ensemble is getting $10,000 less from Heinz -- and less from the Pennsylvania Council on the Arts, too. Its budget for the year is $150,000 -- two-thirds of what it typically spends. The critically acclaimed group has never been more popular: Attendance for its summer season has climbed sevenfold in recent years. But those extra 1,500 tickets supply just 5 percent of the ensemble's revenue. PNME executive artistic director Kevin Noe has shortened rehearsals and slashed a week of performances. And Noe, who lives in Austin, Texas, sounds rueful about his decision to quit a university teaching job to run PNME full time. "I could imagine a scenario very easily in which the company loses me" for budget reasons, he says. Many groups faced the music last year. At the merged Pittsburgh Filmmakers/Pittsburgh Center for the Arts, Humphrey froze salaries, and later postponed discretionary capital spending. Dance Alloy Theatre cut its $650,000 budget by 8 percent, laying off two part-time staffers. "That's painful," says executive and artistic director Beth Corning. "We're cut to the bone. Now we're cutting marrow." Even so, these groups can expect continuing hardship. "I'm looking to cut as much as $200,000 for next year's budget" of $3.8 million, says Humphrey, of Filmmakers/Center for the Arts. And as they begin announcing their 2009 seasons, groups are wooing subscribers who probably feel much thriftier than they did a year ago. What's more, 2010 could be even worse. 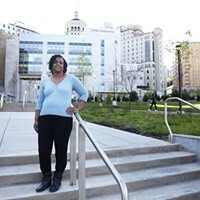 Because many funders base budgets on investment returns averaged over three years, says Pittsburgh Foundation program officer Germaine Williams, the stock-market implosion's full impact has yet to be felt. Meanwhile, Williams says, arts groups should consider things like sharing resources. Merger talk might become more prevalent. "There's really not a formula" for survival, says Sarbaugh. For its part, the Cultural Trust is keeping open all its venues, including the Byham and Benedum theaters and four art galleries, says CEO Kevin McMahon. 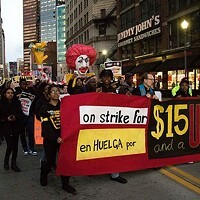 But its job cuts -- 16 layoffs or positions eliminated out of a staff of about 100 -- foreshadow programming cuts. It's possible there will be one fewer Pittsburgh Dance Council show, and that the Trust will trim the CD Live and Trust Presents series that host performers like Smokey Robinson and essayist David Sedaris. Even the Broadway series might dwindle -- if only because Broadway itself is producing fewer shows. Whether a particular group survives, observers say, depends heavily on how it operated in fatter times. Pittsburgh Public Theater's executive and artistic director Ted Pappas, for instance, sounds confident about his strategy of avoiding accumulated debt. Too many organizations, he says, try to borrow their way out of jams. Other successful groups diversify revenue sources, cultivating as many donors as they can, and as much ticket revenue and other earned income as possible. Pappas, for instance, has won grants for high-profile productions from out-of-town foundations. Still, in a global economic crisis, such options decline too: Support for Mattress Factory art exhibits that once came from Japan, Britain and Germany has become scarcer, says museum co-director Olijnyk. "We're flattening everything [in the budget]," says Olijnyk. There have been no big cutbacks yet -- but the funders all say they're still watching their portfolios. "The hardest thing," he says, "is you don't know what's coming." Audiences will likely notice reduced programming as soon as July 1, when some groups' new fiscal years begin. But some producers, with a show-must-go-on brio, insist that now is not the time for the arts to look threadbare. "You don't start pulling back on your mission or what makes you wonderful," says the Public's Pappas. "If you start turning off the lights, it's very hard to turn them on again later." Pappas, optimistically, even speculates some households might spend more on season tickets -- using money they won't be spending on big vacations. But though he notes that the Public's next season will have more actors than this year's, he warns, "This isn't the year to invest carelessly or to have too many titles that are unfamiliar." Other arts managers, meanwhile, say tough times can inspire as well as breed caution. They find hope where artists always have: in the promise of creativity. "To me this is not the time to play it safe," says Dance Alloy's Corning. "As artists, we're going to survive better than car dealerships, without a bailout." Staff writer Adam Fleming contributed to this report.